Kenyan trade finance bankers express concern that they are “losing the battle” with Chinese banks, whose expanding business in the country is increasingly leaving local banks out of the equation or in advising roles only. The concern is raised as China continues to up its stake in the African continent. Speaking on Monday at the start of the three-day Forum on China-Africa Co-operation in Beijing, China’s President Xi Jinping pledged another US$60bn for African development over the next three years. This funding will go towards agricultural modernisation, infrastructure connectivity, green development and healthcare projects. Xi also said China would implement trade facilitation programmes and hold free trade negotiations with interested African countries and regions. Reacting to criticism that Beijing is tangling African governments in a debt trap, he said: “Only Chinese and African people have a say when judging if the co-operation is good or not between China and Africa. 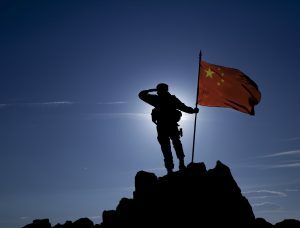 No one should malign it based on imagination or assumptions.” In Africa, meanwhile, the Chinese dominance is very real: while financial support is generally appreciated, it’s not always deemed as good for the continent. In Kenya, for example, critics have for long warned against a “Sino-invasion”, as business reporter Dominic Omondi called the problem in an op-ed in Kenya’s Standard newspaper in May. Under the headline “Poor strategy dug Kenya into Chinese trade hole”, he argued that China has “stretched Kenya’s hospitality”, “taking advantage of the country’s open-door policy to flood the market with all manner of goods”. The numbers speak for themselves: as of June 2017, China controlled no less than 66% of Kenya’s total Sh722.6bn (US$7.2bn) bilateral debt, according to the Kenya National Bureau of Statistics in its 2018 economic survey. At Sh478.6bn (US$4.75bn), this is more than a seven-fold increase from China’s Sh63bn (US$625mn) debt to Kenya in 2013. And while Kenya imported goods worth US$7.38bn from China in 2017, it only exported US$114.5mn-worth of goods to the Asian country, according to estimations by Coriolis Technologies. Kenyan trade finance bankers are also worried that they are not getting as big a slice of the Chinese pie as they would wish. This is despite the fact that most Kenyan banks now have Chinese relationship managers, or have even created full Chinese departments, as recently reported by GTR. Timothy Mulongo, trade finance business development manager at Co-operative Bank of Kenya, says Kenyan banks are sometimes cut out of deals altogether by local Chinese branches, a trend he says is “a major cause of concern”. “We see a lot of the Chinese banks setting up locally, so instead of marketing their products from offshore, they would set up a local office and build customer relationships from there,” he says. “What that means is that there are less and less opportunities for local banks to do business. It becomes more or less like local Chinese trade: Kenyan banks would not even have an opportunity to intermediate.” This experience is shared by other banks. George Kiluva, head of trade finance at Commercial Bank of Africa (CBA), points to “the dominance of the Chinese business in the region” as an issue often raised at the Trade Finance Association of Kenya, a local professional body for Kenya’s 44 financial institutions launched last year to discuss challenges and harmonise practices. One challenge, Kiluva explains, is that local public sector construction agencies in certain instances have started to accept performance guarantees on local projects directly from China, rather than locally. “That is our business being exported. The Chinese banks are taking away a lot of our banking business, because we expect to issue these guarantees locally. We’ve continuously looked at how to lobby against this,” he says. Priced out of the guarantee market While Kenyan banks started to encounter the problem last year, Kiluva says it is now becoming “entrenched”. “Whenever there is a local project that Chinese firms are undertaking here in Kenya, we would get a counter-guarantee from a bank in China, and on the back of a that, we issue a guarantee,” explains Mulongo of Co-op Bank. “But Chinese counterparties are always looking at how to cut their costs. So we have seen that they send out a guarantee directly from a bank in China. It doesn’t make much sense, because you are accepting an instrument from a counterparty that you don’t know.” The trend means that guarantee business is increasingly run without involvement of the local banks, he adds. “They do not play their intermediation role in the industry. And when the local banks are utilised, it is for advising only, not for local issuance or confirmation.” The fact is that Kenyan authorities have gained a high level of comfort in Chinese contractors, after years of working together. “The Chinese say: ‘We’ve done so many projects in Kenya and nothing has gone wrong, you’ve not had the need to demand on the guarantees.’ So why bring in a local bank that will charge extra and make the cost high? You find local banks are losing the battle on that front,” says a trade finance banker who preferred not to be named. Kenyan banks are simply unable to compete with the price of the guarantees issued out of China. According to Janet Mulu, trade finance manager at Ecobank in Kenya, the average price for a performance guarantee by a Kenyan bank is about 2% per annum, whereas Chinese banks typically offer 0.8%-1%, and have even been known to go as low as 0.2%. It leaves banks in Kenya with the challenge to find other revenue streams that they can leverage from Chinese commercial activity, such as collection and payments. More banks are also looking at how they can grow their business through supply chain finance programmes and invoice discounting. In June, for example, CBA launched a new supply chain platform to finance more SMEs, built by Nairobi-based fintech firm Ennovative Capital (ECap). But China’s fast pace will undoubtedly leave some local banks behind. As Theo Osogo, director of business development at Sidian Bank, puts it: “Competition has come, and those who are surviving are the ones who are structuring things differently.” The post Kenyan trade financiers “losing the battle” with Chinese banks appeared first on Global Trade Review (GTR).